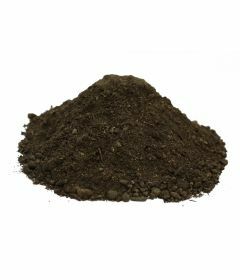 Earth Cycle Topsoils are cultivated and perfectly blended from high quality screened soil. We provide gardening supplies and topsoil to every town and city in Essex. We are a leading supplier of garden products, we supply gardening enthusiasts and landscapers throughout Essex. We cover Colchester, Brentwood, Chigwell, Chelmsford, Harlow, Wickford, Thaxted, Maldon and many more locations across Essex. Our bulk bags are capable of holding 750 litres of our premium quality topsoil. When it comes to delivering, we can supply our topsoil to all postcodes within Essex on any day during the working week. If you would like to arrange for a particular time, speak to our team to arrange and we will be as accommodating as we can. We know that certain rural areas in Essex have specialist direction requirements, so please let our team know. Our recommendation is that someone is present when delivered however we can still deliver without someone at your property for collection. We have the capability to deliver several bulk bags to Essex in one shipment, so do not worry about having several delivery times. For more information regarding our deliver service, please see our delivery information. There are various different soil types in Essex but it tends to be a mixture of loam and clay soil. If you find you have a high clay content in your soil, it will be worth adding topsoil to make it easier for your plants to grow. 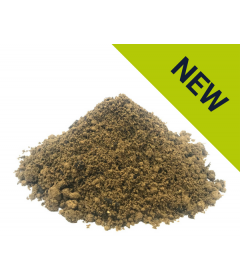 BS3882 Topsoil is sand based and is best for use in landscaping in and around building and infrastructure projects whereby a technical certificate is required. Soils are also suitable for the garden as it is packed full of nutrients and helps retain moisture. It is high quality and is perfect for lawns next to paving or fencing as it soaks up surrounding water. Earth Cycle’s BS3882 Topsoil is certified to BS3882:2015 specification for the grade ‘Multi-Purpose Topsoil’. 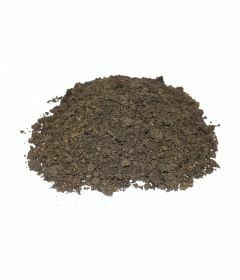 Our high quality Turf Dressing Rootzone is designed for top dressing lawns, laying turf onto, divot filling and sowing seeds into and creates a solid surface area and base for your turf. 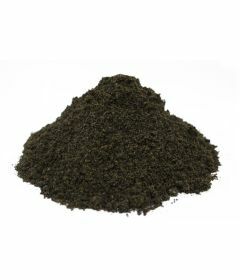 Produced from our peat free compost, mixed with sand and screened to 5mm, our turf dressing is packed full of nutrients to help seed growth, creating highly durable grass. You can fill any hollows that may have developed in the grass surface and continued application of soil or rootzone will build an ideal structure for your turf and lawn over the years. Our topsoil is ethically produced from recycled waste and is created by our parent company The Woodhorn Group. We care deeply about the environment and therefore we made it our mission to become as sustainable as we possibly can be. Many topsoil that are provided throughout Essex have a large carbon footprint and as they come from abroad and sometimes they can contain ingredients such as coir. All of our topsoil and composts are blended and cultivated under careful and controlled conditions in compliance with the British Standard for Composted Materials – BSI PAS 100. We store all of our topsoil undercover making sure it is off the highest standard for our customers in Essex. If you are looking for more products than just Topsoil, look no further. We are leading gardening materials and landscaping supplier. We offer products such as Bark, Logs, Soil Conditioners and Compost. We deliver all our products on a national basis including Essex and areas in and around the county. Every product we supply are inclusive of VAT. We supply our topsoil to any postcode in Essex and surrounding areas such as Hertfordshire, London and Cambridgeshire. If you have a question, please feel free to contact us here or alternatively you can get in touch will our knowledgeable staff with the following number 01243 781730.